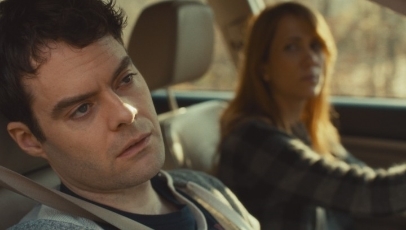 Kirsten Wiig and Bill Hader are the beating heart behind The Skeleton Twins, a bittersweet and sharply observed offbeat drama. They star as Maggie and Milo, estranged siblings who are brought back together after the latter’s botched suicide attempt. As each struggles with their own problems, as well as a dark childhood, Maggie and Milo slowly realise that they’re better together than apart. Without a shadow of a doubt, The Skeleton Twins is a tough watch; Maggie and Milo both have their own painfully real complications, and writer and director Craig Johnson (aided by co-writer Mark Heyman) ensures their personal excursions play out truthfully, warts and all. It contains an interesting, thought-provoking narrative with a tremendous amount of bite, but also manages to entertain in equal measures – a miming scene set to an 80s power ballad towards the middle springs to mind immediately. The bridge between comedy and drama in handled superbly, too, with the more uplifting, comical moments piercing the darkness in a believable manner, and the result is a truly one of a kind film.